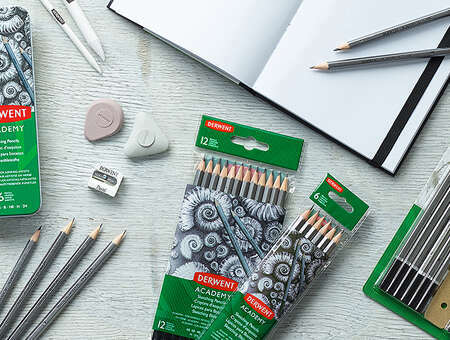 Derwent Academy pads are perfect for sketching, drawing and painting. Our Academy range includes pads in various sizes and thickness for drawing and painting in watercolour, acrylic & oil pads, and also black paper and tracing paper. We also have a great range of artist journals in various sizes and bindings to choose from. Ideal for colouring, sketching or drawing to keep all your ideas and inspiration safe.